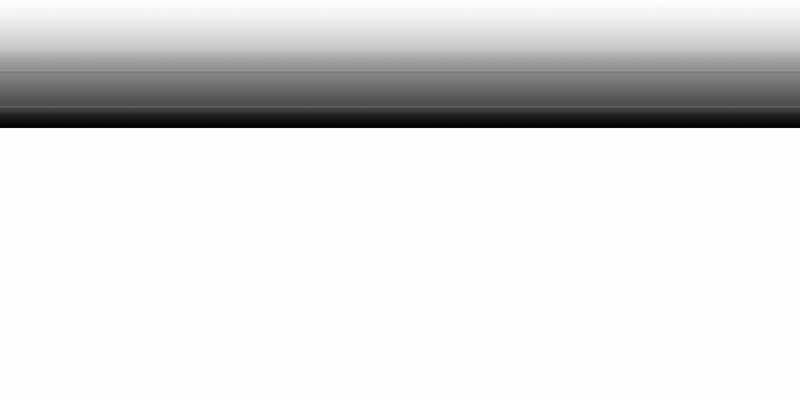 reproduce audio recordings exactly as the musician intended. experience that commands your attention, allowing you to get lost in the music. commands your attention, allowing you to get lost in the music. allowing you to get lost in the music. have a flat frequency response for a pure sound without any colouration. 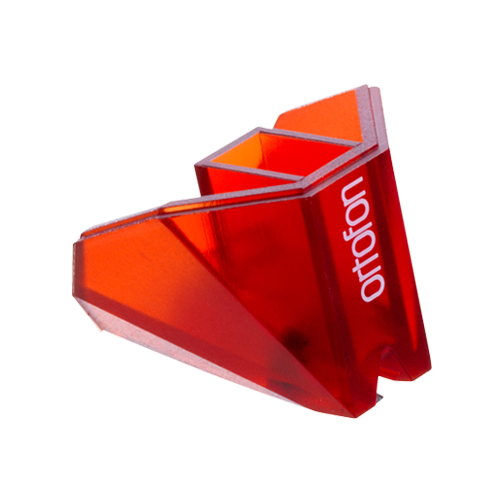 elliptical 2M Red cartridge that provides an increased output of 5.5mV. 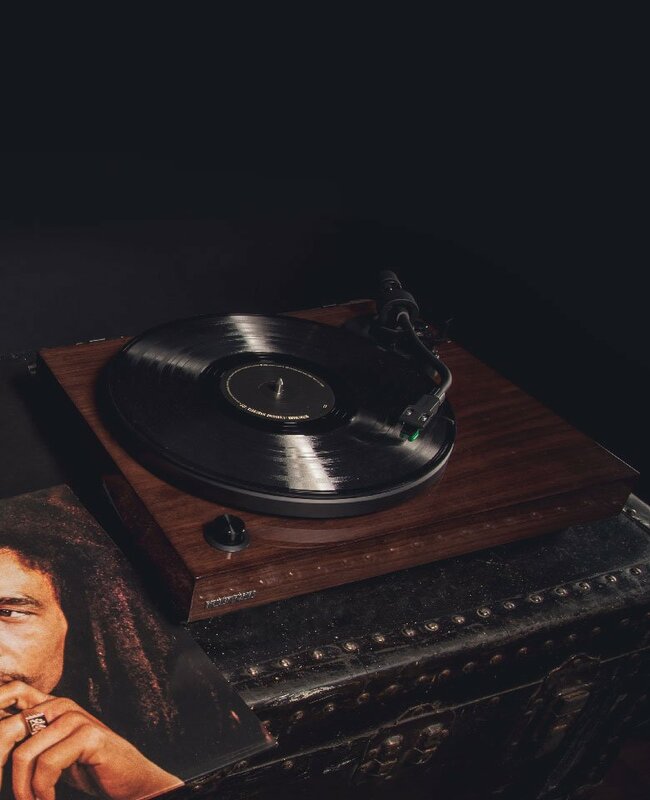 records sound perfect at every play. 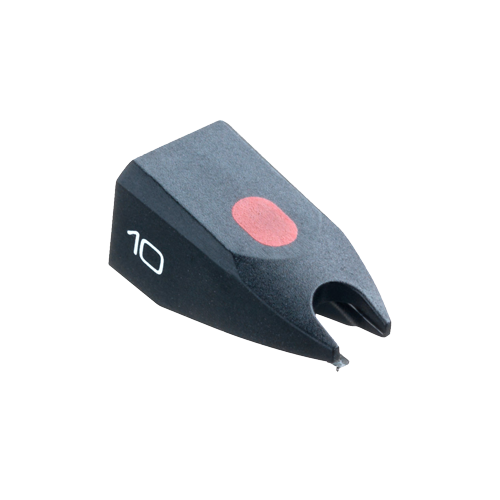 allowing for greater low frequency signal pickup and improved imaging. The mass-loaded multi-layered wood chassis inhibits the transfer of unwanted resonance through the system. in immunity to environmental vibrations, allowing for greater low frequency signal pickup and improved imaging. for greater low frequency signal pickup and improved imaging. 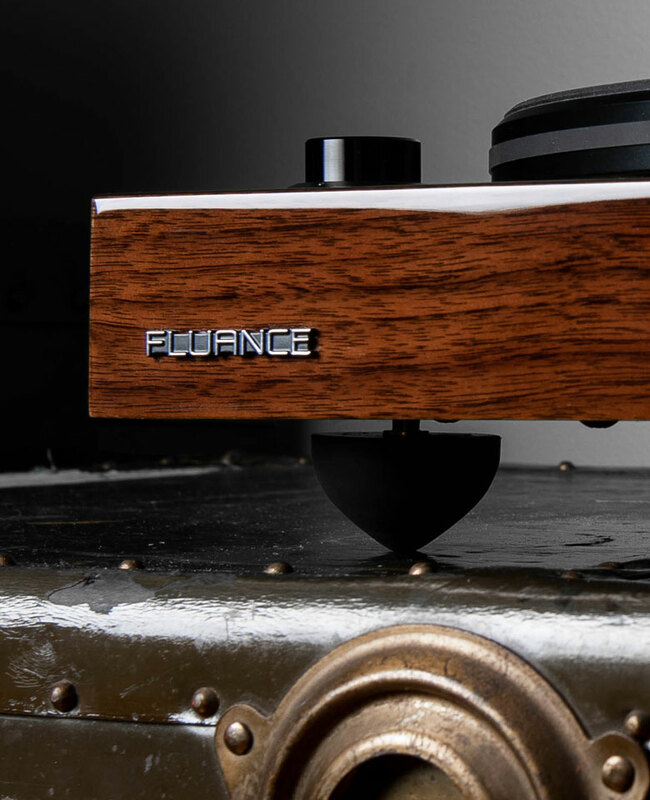 RCA outputs for a pure, exceptionally detailed sound. performances in your home for years to come. 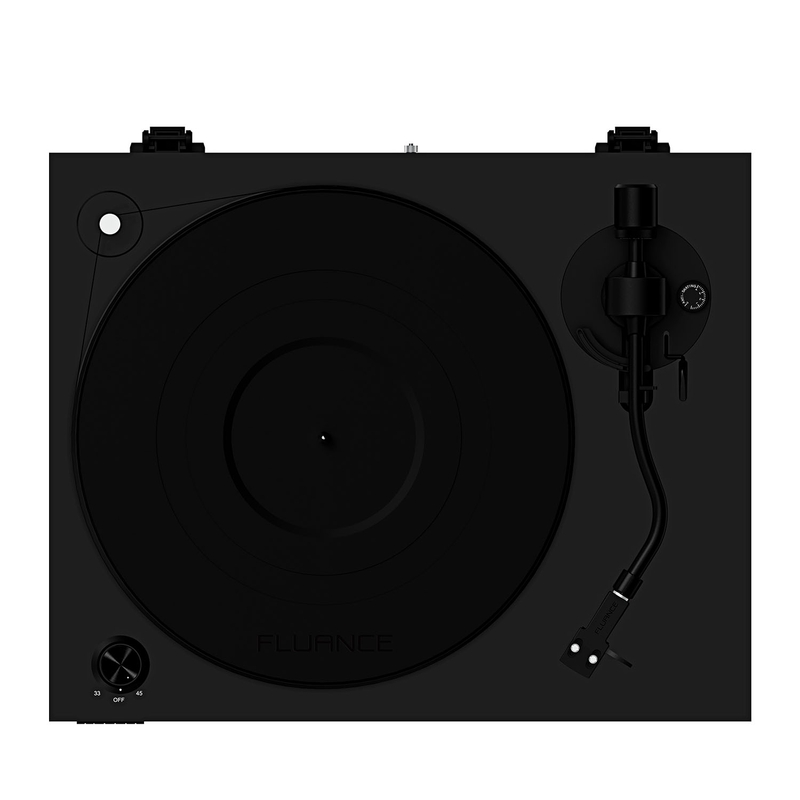 "The Fluance RT84 turntable looks, feels and sounds like a winner"
"I give this my highest rating of 5 pompadours out of 5""
"It didn’t matter the genre... it all just plain sounds noticeably better on this turntable"
"I haven't found anything about this turntable that I don't like"
"If you're looking to improve your vinyl setting, Fluance's reference series is worth considering, to take your records to the next level"
"The experience was a bit of a revelation... 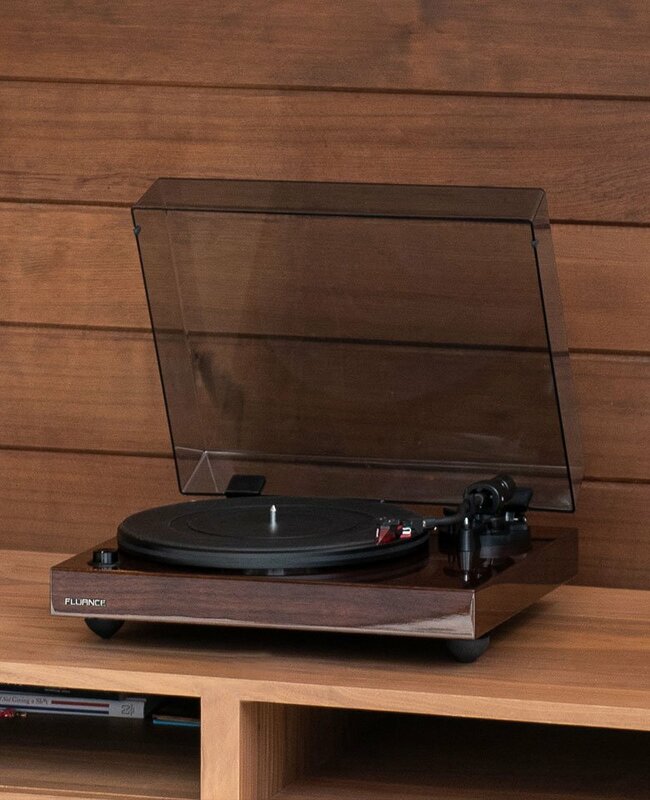 I finally understood why some people have such an affinity for vinyl"
I love the RT83 turntable. New to vinyl. Read good things about the reference series. Bought it. It shipped very quickly and was easy to set up. My music has never sounded better. Will recommend highly to anyone. Oh and it looks awesome. This TT looks and sounds amazing. Came well packaged and was able to be set up in a matter of minutes. Great TT that you'd be hard pressed to beat at this price point. 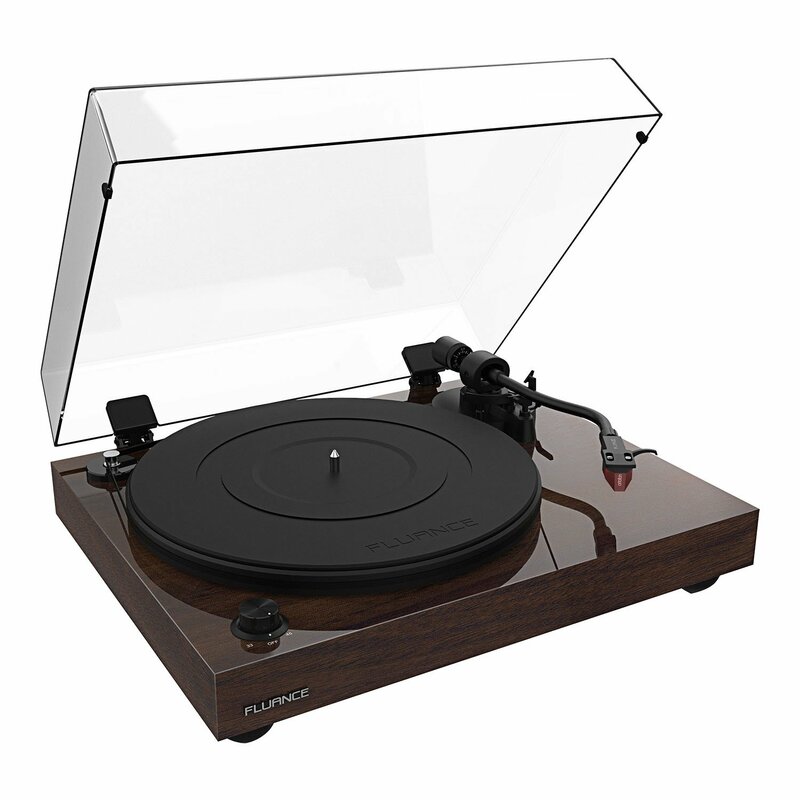 I wanted something brand new (with warranty) to take over for my vintage Linear Tracking Turntable. 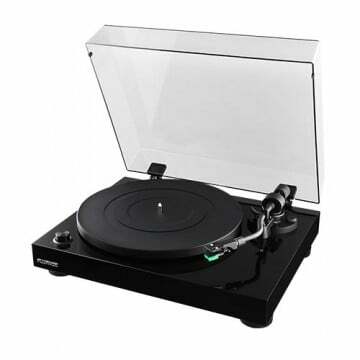 After much searching, I found the turntable I was looking for!!!! I chose the RT83 as an entry point for the Reference Turntables that had the Ortofon 2M cartridges already installed. After five days of waiting for it to arrive, delivery was delayed not 1 but 2 business days due to bad weather along the way. I finally received it yesterday. I had been looking at unboxings of this and similar models over and over, so I knew pretty much not only what was in the box, but the assembly steps as well. Assembly took just under an hour. The surprise came when I fired it up....and wow!!!! Just beautiful!!! The wait was definitely worth it. 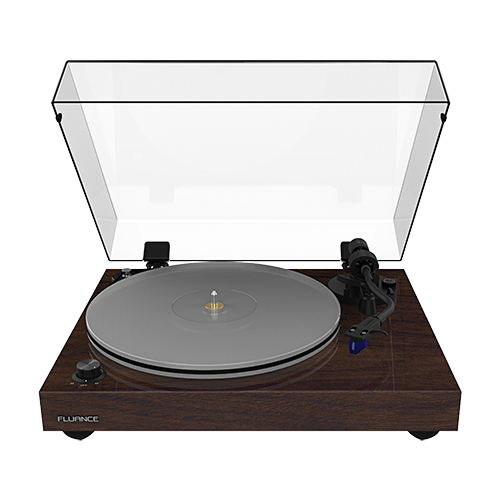 I am not ditching my LT Turntable as it is going to be the turntable (with preamp) that will play vinyl on my computer. The RT83 is now my new main go-to turntable for enjoying Vinyl the way it was meant to be heard. The sounds pop out and everything is so clear, it sounds like you're right there in the studio. I'm using this turntable through a Marantz SR-4023, Bose 901 Series IV Equalizer (restored) and output to a pair of Bose 901 Series IV speakers (also restored). The result? My whole living room is totally bathed in sound so rich that I am instantly taken away to another world. :) I cannot believe how beautiful it looks and build quality? Very solid!!! I am definitely pleased with my choice as I believe I have made a solid investment in my vinyl playing future! Got the RT83, didn’t get ship notice but arrived 1 week after order in good shape, great packaging to protect TT. TT is great, easy setup and sounds great!! 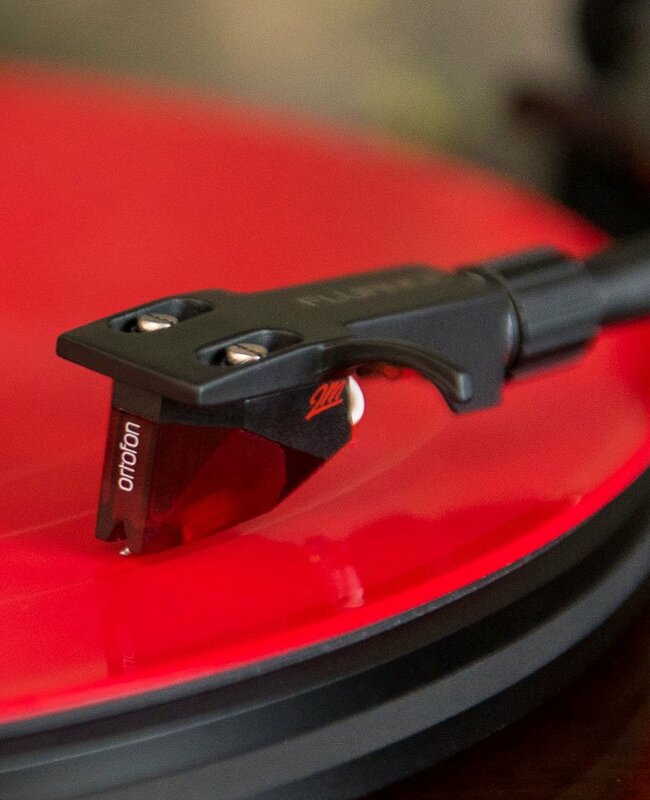 Ortofon red sounds great as well!! Excellent product, Excellent Price, Excellent packaging Easy setup. The only issue I have had and keeping me from giving a 5 star rating is that I was missing the bubble level, even after contacting support twice problem was not remedied which will prohibit me from further purchases as I cannot count on support for something small like this I certainly doubt they would support me with a real problem. Otherwise exceptional product. 1) Fluance is a Canadian company so I wanted to give a little love to my home country. 2) It seemed like a great value. 3) Steve Guttenberg of The Audiophiliac raved about this series. 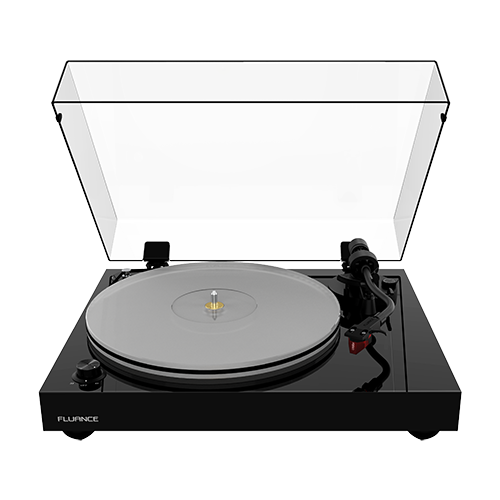 I'm impressed by the quality of the turntable and by the customer service team at Fluance. I had a concern about the cueing lever and they contacted me within 12 hours and got it all sorted out (FYI, there was no issue, just me being unfamiliar with how high it should lift). I'm extremely happy with my decision and plan to pick up a pair of their powered speakers in the near future. I'm listening to a direct metal mastering of an album on the RT83 turntable and the sound is totally gratifying. This TT has breathed new life into my integrated amplifier. The RT83 was worth the wait. I purchased the RT83, to replace my 30 yrs old Dual turntable, & I am very pleased with this turntable. Having the speed control was important to me & this TT delivers, the competition charges big for this feature. Product arrived on time, packed very tight no damage. Instructions to assembly spot on and for me who lacks that ability, no problem. The turntable is so good I now have to upgrade the speakers. I am reviewing the Ai 60 which has optical to plug into CD player. Excellent company which appears to stand behind it products from all the reviews I have read. I purchased the RT83 Turntable & liked the sound & build quality, I found the power supply to be cheap. Would like to see a better power supply in future. I wanted to add to my previous review. After a week I can truly say this turntable is amazing. The sound quality is awesome. If you are thinking of purchasing one, do it. L'esthétique de la table tournante Fluance RT83, son fonctionnement silencieux, la qualité sonore de la cartouche Ortofon, en font un achat plus que recommandé pour les mélomanes. 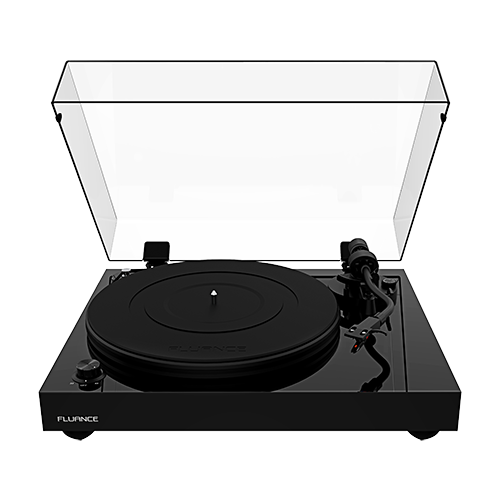 The aesthetics of the Fluance RT83 turntable, its quiet operation, the sound quality of the Ortofon cartridge make it a more than recommended purchase for music lovers. I was initially hesitant since I hadn't seen many reviews on these at the time of my researching, but I am glad I took the risk. These are very well made and have a great sound. 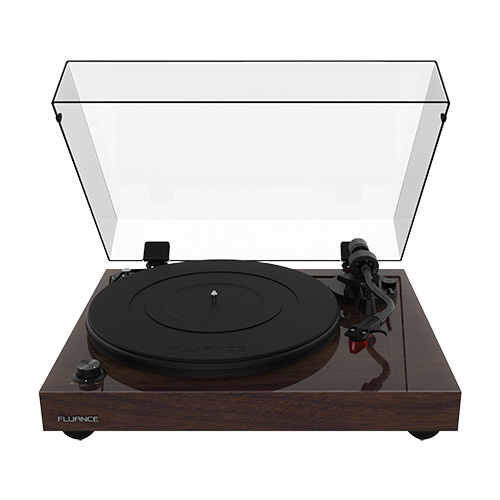 I'm glad I took a chance on Fluance over the more expensive turntables out there! The unit was packaged well. Set-up was a breeze. It's so beautiful and sounds great. I like the speed knob as opposed to a switch. 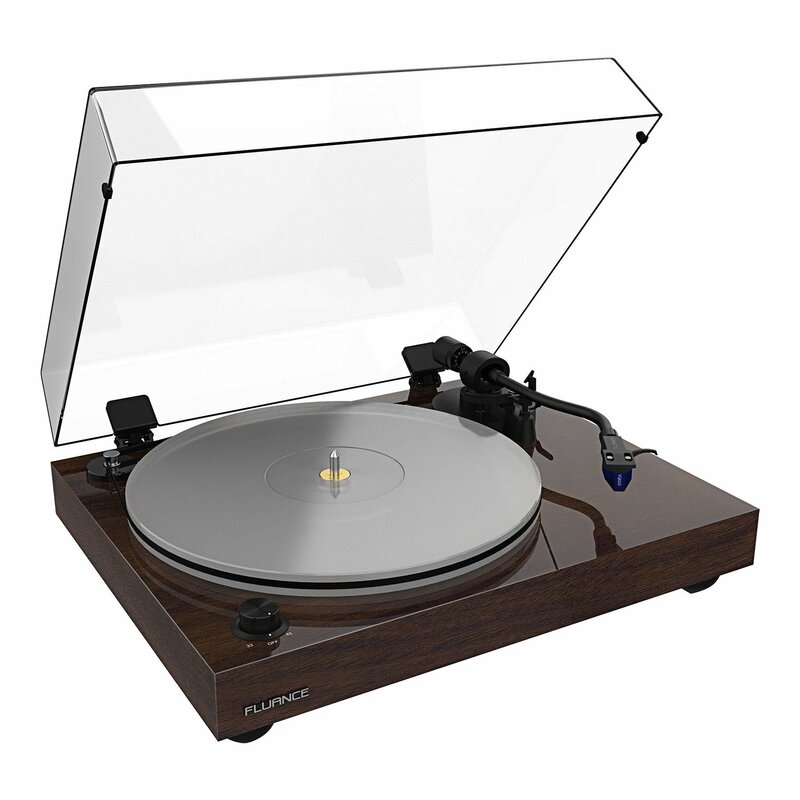 It's a solid, attractive, well built turntable at a good price. Beautifully made and good looking. Most importantly, it drew sounds out of my vintage records I didn't know we're there. Especially good with bass and separating the instruments. Only problem, and I almost dropped down to 4 stars, the dust covered scratches very easily. Don't even put a dust jacket on it. 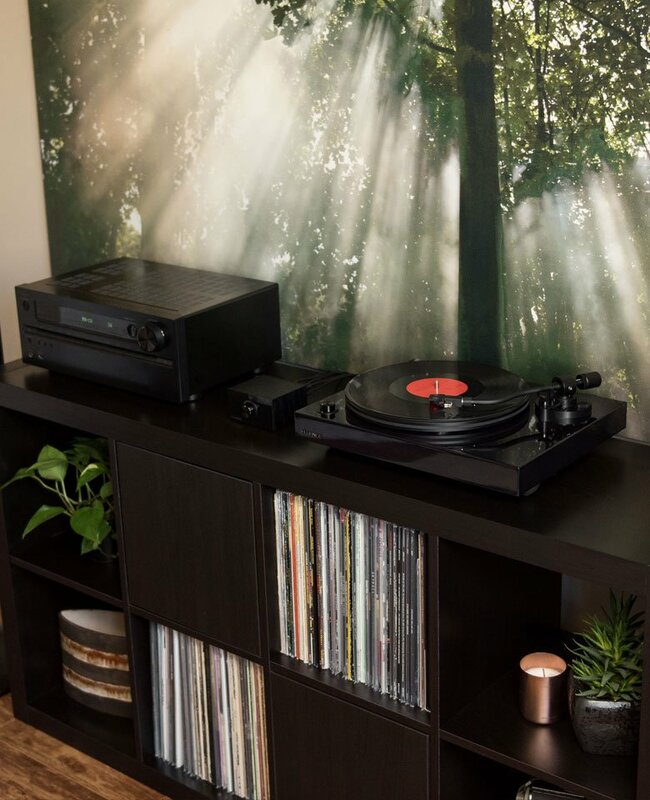 An amplifier is only needed if you’re connecting the turntable to passive speakers such as the Signature Series Bookshelf Surround Speakers. If you’re looking for an option without a separate amplifier, the Ai40 Powered Bookshelf speakers fit the bill. With the Ai40, all you need to do is connect the included RCA cables to your preamp, then to the speakers and you’re ready to listen to the music the way it was meant to be heard. 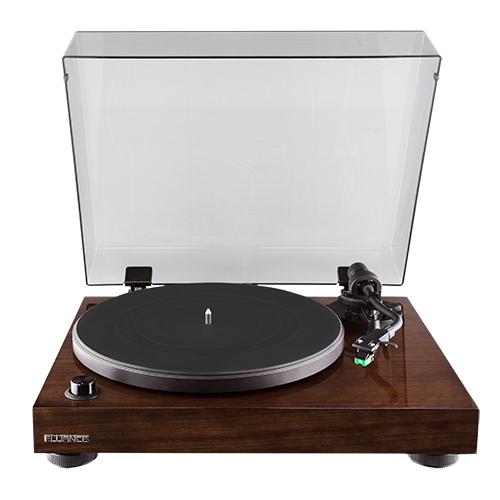 If you intend to use your Reference series turntable with powered bookshelf speakers such as our Ai40 model, a preamp will be required. The preamp will boost the signal to line level (similar to a headphone jack) so you can play it on speakers with RCA or AUX inputs. If you have a home theater or stereo receiver/amplifier, you will need a preamp if the amplifier does not have a PHONO input. If you have a PHONO input, you may have a preamp already built in. Be sure to refer to the manufacturer’s specifications or manual for confirmation! This design choice was made with a number of factors in mind. The main reason was to separate electronics from the turntable’s signal path to maintain the purity of the analog signal. Many listeners also like to customize their listening experience and choose specific components such as preamps based on unique sonic qualities. Using separate components also allows for optimization of cartridge and phono stage compatibility. 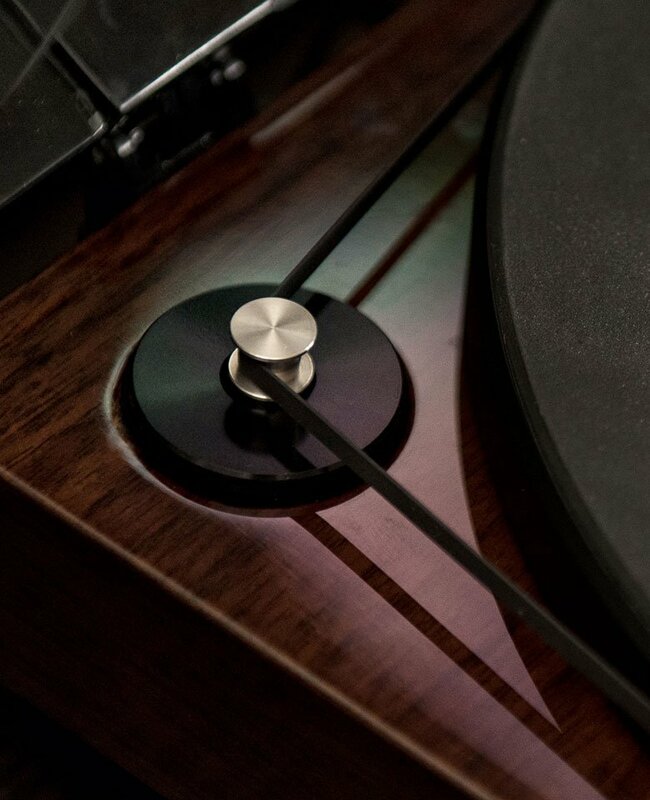 If you upgrade your cartridge in the future, you can pair with an optimal phono preamp to maximize performance and achieve the sound profile you desire. ! We want our users to experience music the way it was meant to be heard and have pulled out all the stops for the new Reference series. These new turntables include a servo belt drive motor. This means that you have a sensor checking and adjusting the speed of the motor up to 500 times a second to make sure the speed of your turntable is consistent with no manual adjustments, bringing wow and flutter under 0.7%! What's new! What does it mean? 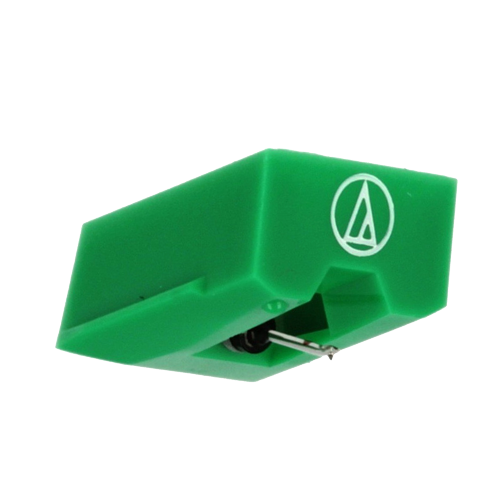 The motor is located away from the platter Allows the use of an acrylic platter, reduced rumble at the stylus. 90pF RCA cables Upgraded RCA cables with higher capacitance to protect and maintain the purest signal path. No internal preamp Provides a clean signal, with no electronics in the path for increased audio quality. 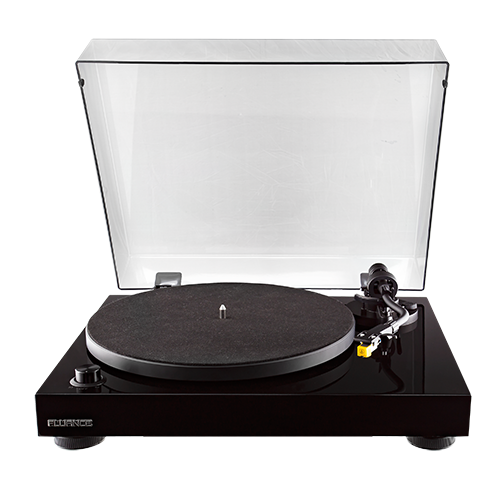 Spring loaded adjustable feet with built-in isolation Allows the turntable to be leveled on any surface, bubble level included. Spike-shaped feet prevent outside vibrations from affecting audio quality. Servo controlled motor Improves speed consistency and reduces wow and flutter by checking the speed up to 500 times per second! 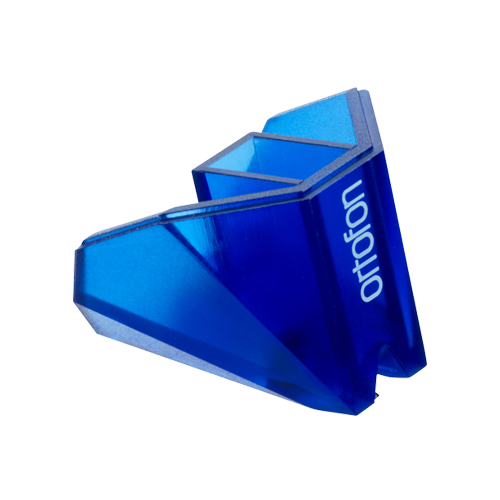 Ortofon Stylus All Reference turntables are compatible with Ortofon OM10, Blue and Red Cartridges. 112g Counterweight Heavier counterweight to accommodate the Ortofon stylus. 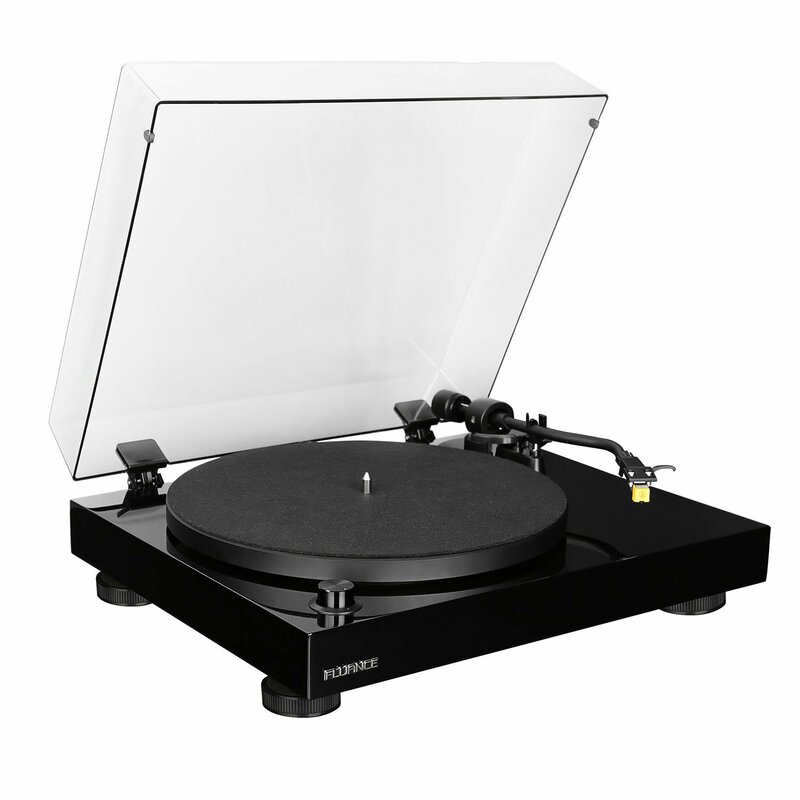 Compatible with an acrylic platter (included with RT84/RT85) Heavier, denser material reduces resonance and improves speed consistency, not to mention great looks! 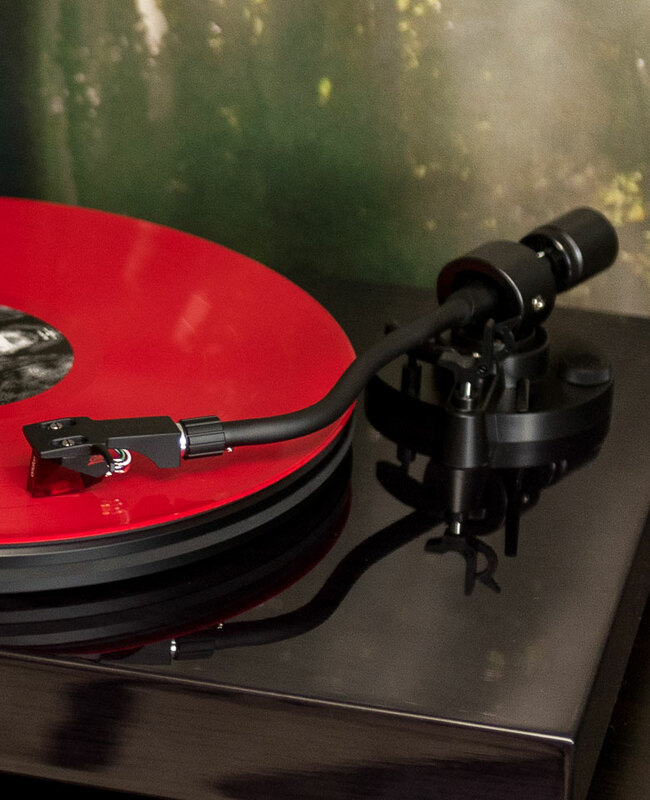 Customizable All Reference turntable components are compatible with each other giving you a clear upgrade path! 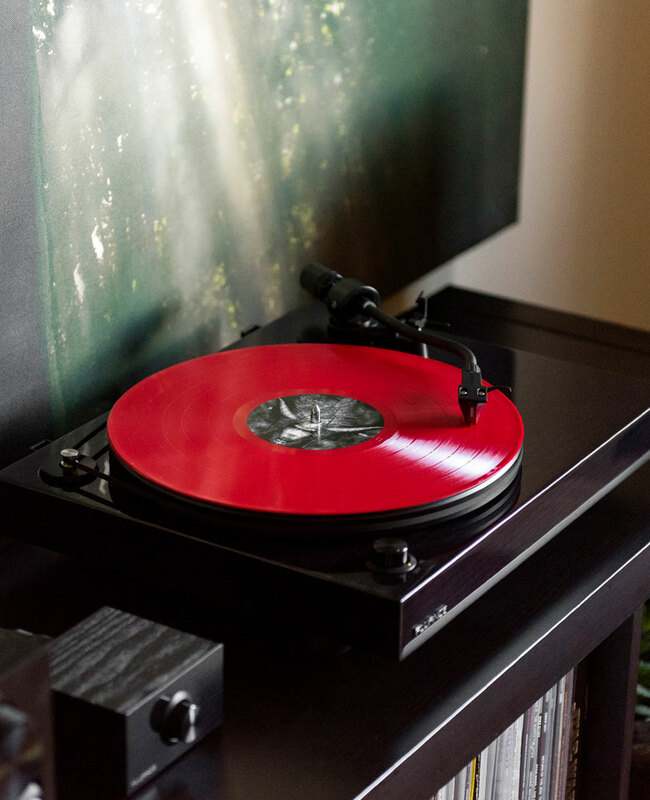 Reference turntables are compatible and shipped with with moving magnet cartridges such as the Ortofon OM10, 2M Red and 2M Blue, giving you the ability to customize your system for top tier performance. 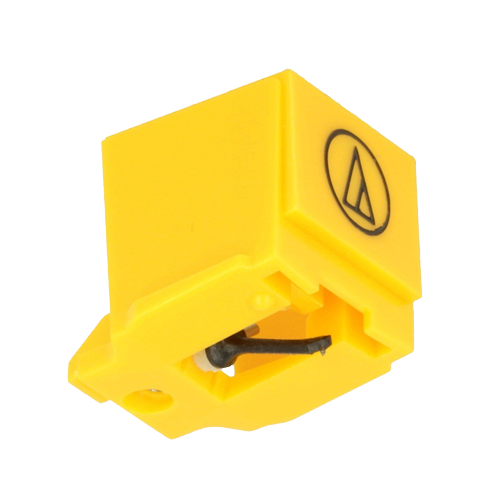 Cartridges must be between 3.5 to 7.5 grams to be balanced correctly.